I left the live watch thinking Green Bay didn’t play their best game, another great Mike McCarthy production…but thinking that it was two equal teams and Seattle played a little better and got the win. Different story, for me, re-watching. On the re-watch…it really was an embarrassing performance by Green Bay and a clean win by Seattle. The Packers were lucky this wasn’t a bigger loss. The Packers led this game 14-3, quickly. Not that impressive a start, in reality. Seattle lost a fumble on the first play setting up an easy TD a minute and a half into the game…Seattle won the next 58.5 minutes 27-17. Green Bay’s second TD was a broken play – Rodgers escaped a sack, somehow, and the play had kinda stopped thinking a sack was happening…when Rodgers sprung free and floated one desperately downfield to a backup tight end for a 50+ yard score. Green Bay led 14-3 after one quarter on that play…Seattle won the next three quarters 24-10. Seattle was nothing special…but were the better team. And, now, Seattle takes a big step over Green Bay in the wild card chase. We still see the Seahawks finishing 8-8…with CAR-MIN-KC still on the schedule ahead. The Packers are in freefall. Now, 4-5-1…losers of three of their last 4. Wins over Josh Allen-Beathard-Osweiler since Week 4…losses to everyone else. All is not lost, though. The schedule is begging for Green Bay to get up of the mat and win their next three heading into a Week 15 game at Chicago, in what would then be a huge game. I don’t think GB is good enough to run the table on their next three (MIN-ARI-ATL) but if they have the ‘bounce back’ at MIN , and then beat Arizona…they’d have dome team Atlanta going to Lambeau in December. I could see Green Bay getting back into it, sitting 7-5-1 for a do-or-die game vs. Chicago Week 14 and a possible 9-7-1 finish for a shot at the playoffs. It just feels like Green Bay doesn’t have ‘it’ anymore and will slink away to 8-7-1 or 7-8-1 finish…and then heavy debate on Mike McCarthy’s future. Green Bay has a virtual playoff game (for them) Week 12 at Minnesota. Lose to the Vikings next week and it’s about ‘over’ for the Pack. -- We could debate ‘what’s wrong with Aaron Rodgers (21-30 for 332 yards, 2 TDs/0 INT?’…is it McCarthy/the play calling, the young WRs, the O-Line, the hiring of Joe Philbin (that Rodgers hated)? It doesn’t matter the answer for fantasy…all we know is something is off. He’s not the old Aaron Rodgers. Still great…just not ‘great-great’. Down by 3 points with 5 minutes left…Rodgers went three-and-out uncommonly misfiring on his passes. How often have you seen Rodgers fail so hard, so easily in a tight spot like that? Usually, the comeback is a lock with that much time. Something is amiss, and all it means is – Rodgers is bottom-half of the QB1s for 2018 ROS, not ‘the great one’ or the great hope/sure thing top 3 QB fantasy weapon. Sure, he can turn it on and have us scrambling back to worship him…but it just feels like something is holding him back from ‘great’ this year. 1 or 2 TD passes in a game in eight of his last 9 games. His totals/averages are fine…307.0 yards and 1.9 TD passes per game. He’s had a couple spike games but mostly his typical game has been 2 passing TDs and 280 +/- yards…really nice but not what Mahomes-Goff-Trubisky-Luck, among others, are doing. At MIN next week won’t be ‘favorable’ and then the next four games have a chance to all be cold-to-bitter cold games, not helping a spike in passing numbers. All you can project is Rodgers as a #7-10 type fantasy QB option, on average, ahead. He’s not hurting anyone…but your hope for Rodgers to get you that string of 3+ TD/300+ yard games…and they just aren’t there this season. -- I knew as soon as I said something nice about Marquez Valdes-Scantling (1-8-0/3) that this is how he’d repay me…a fantasy dud. This was the game I was expecting to happen soon…but looks like it just arrived. Equanimeous St. Brown (1-16-0/4) getting more/better looks and playing near as many snaps. Now, both of them were duds for stats in this game, but here’s the issue…Randall Cobb comes back to his regular role and is probably FF-viable again in PPR. MSV and ESB fall to splitting a #3 role…and Jake Kumerow is about ready to return (we’ll see if they activate him). You thought you had a WR2 with MSV…and he might not even be playing 25% of the snaps in two weeks. He may lose his #3 role to the more talented ESB…and then both may lose out to a returning Kumerow. With the GB struggles…Kumerow is a potential deep sleeper to come out of nowhere to become the #3 WR and a cult hero in Wisconsin. You watch. Let’s see if he gets activated first. -- Aaron Jones (11-40-0, 5-63-1/6) is the new Packer star to have for fantasy, of the moment. As I’ve been saying – McCarthy wants this to be a running team, and he’s found his RB du jour. If I had Jones in dynasty, I would be selling high…selling him as a near RB1. This is your window. I don’t think he’ll die off in a week, but he’s not a #1 RB. He works OK for now, but people will eventually be holding an RB2.5 bag soon, even if the drop hits this offseason with roster/draft moves…he’s an RB that could sell as a near RB1 right now. His numbers are hot of late and the ESPN-types LOVE him. A perfect sell-high. He’s not a #1 RB in talent…he’ll either falter in a few weeks, or next week, or with a new coaching staff in 2019 going with a real #1 RB somewhere. The clock is ticking for a hot flip. Jones is a total sucker’s bet RB ahead. I don’t know what week it will ‘turn’, but it will. He’s is not at all a lead RB. He’s not a banger (not the ideal size) and he has no high-end running skills. He moves OK/straight ahead through holes…no hole, no nothing from him – which is why he’s struggled a lot as a consistent runner in the NFL until the last few weeks. He’s a ‘C’ talent getting touches and looking like an ‘A’. I guarantee you you’ll want to have flipped this hot when you look back in weeks or months. -- No one loves a running back more than Pete Carroll loves Chris Carson (17-83-1). Carson has several injuries that could use a few weeks off to heal…nope, rushed back out there this week. Fumble on the first play leading to an easy score by the opponent…no problem. In a league where coaches love to punish ‘fumblers’, Carson right back out there (which I agree with, but do you think Penny or Davis would get the same treatment?). Rashaad Penny (8-46-0) busts off an amazing, stellar 30-yard run on his first touch…who gets featured later – Carson. *To be fair, Penny got hurt at the end of his 30-yard run…but returned fine after a bit. In a league that cannot pass enough to running backs, Carson and Penny combined for 25 carries and ZERO targets in this game. Typical that Carson is not really involved in the passing game. I really don’t get anything Pete Carroll is doing on offense this year or any year. He’s running the Jeff Fisher offense with a miracle worker QB. Carson is an RB2 with little PPR action, and Penny-Davis are getting in the way of Carroll’s love story with Carson. -- Robert Tonyan (1-54-1/1) got loose on a scramble-extended play and Rodgers hit him for that long TD. His only target in the game. Well, now that Jimmy Graham (1-13-0/1) is done with a broken thumb, maybe…but doubtful. 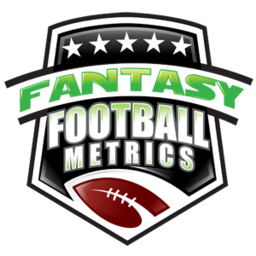 Rodgers is having a hard time finding Valdes-Scantling and St. Brown…and couldn’t work Jimmy Graham well – but he’s going to make Robert Tonyan FF-viable this year? How many snaps do you supposed Tonyan played in this game…seeing how he scored an impressive TD and Graham went out? What’s you guess. Lance Kendricks (2-12-0/2) becomes a TE2 with long shot hopes at back-end TE1. Marcedes Lewis is still here too. Tonyan is interesting…a WR at Indiana State, 6’5”/236, a 4.58 40-time, 7.12 three-cone. A 1.53 10-yard split is high-end for a WR much less a TE. Something to keep an eye on but nothing imminent. He was getting attention with Detroit a couple preseasons ago, but they let him go in 2017 and the Packers have been working him ever since. -- Doug Baldwin (7-52-1/10) scored his first TD of the season and had his best targeting/catch counts as well. There’s hope he’s ‘the guy’ ahead, but I saw more of that ‘throwing prayers to David Moore (4-57-0/8)’ in this game in the 2nd-half. Wilson has been pushing Moore on and off the past 5-6 games. I’d trust Baldwin over Moore, right now…given Baldwin’s history – but I don’t really trust either because I don’t trust this passing game for big numbers. I’ll take Tyler Lockett (5-71-0/5) ahead of all of them, I guess…if I had to. -- GB OLB/DE Kyler Fackrell (6 tackles, 3.0 sacks, 4 TFLs) is having a season. His second game this season with 3.0 sacks in a game. 5.0 sacks in his last 4 games. 8.0 sacks this season. He’s not a super talent but he gives great effort and has a good knack for the game. Mike Pettine knows how to use players and he’s making Fackrell into a menace…and Fackrell’s been waiting to be a menace. Weeks 14-16 for Green Bay…ATL-@CHI-@NYJ. Likely cold weather all the way around. Not that it’s an issue for Rodgers but it tends to put a lid on massive upside with potential snow/ice problems. It’s not ‘favorable’, on paper to the passing game. We’ll see what the reality is as we get closer. You could do worse than the GB-DST Week 16 at the Jets. Weeks 14-16 for Seattle…MIN-@SF-KC. Weather will be wait and see. Facing SF in Weeks 13 and 15 is quite good for FF…Seattle has a good defense and plays run/defense strategy plus the 49ers might have Nick Mullens as a gift to this.